Established in 1998, Hotel President Pune is the most ideal, trusted and budget-friendly stay if you’re in the city for a short business trip. Hotel President Pune is located at Lane 8 on Prabhat Road, behind Kohinoor Mangal Karalaya in Erandwane. 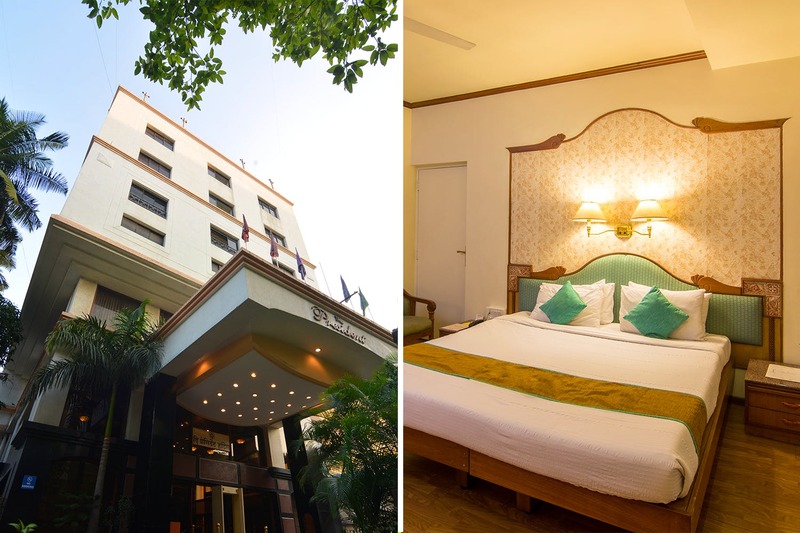 Hotel President Pune is a sophisticated business hotel and is perfect for those who are visiting the city for a short period and looking for something classy and affordable. Right from the lobby to its in-house restaurant, the overall ambience of this place is quite luxurious. The rooms, on the other hand, look comfortable, homely and are well-equipped. There are three kinds of rooms at Hotel President and every room is done up beautifully with soft hues and elegant furniture and suits every kind of budget. For instance, the standard room costs about INR 3,200 per night while the suites start at INR 6,500 per night. Complimentary buffet breakfast is included with your stay. We hear Hotel President has four grand areas for meetings, weddings and other events. While The Royal Heritage is a 3,540-square-feet ballroom, The Excellency on the second floor is spacious conference hall designed for board meetings and hi-tea. Located on the sixth floor is The Imperial Lounge which is great for reunions and parties and The Golden Pavilion is a slightly smaller space of 625-square-feet that can be used for intimate occasions.